Sometime ago, a young woman came into the supplement store looking for a titanium dioxide free iron supplement. She began telling me about the research on this ingredient and the reports that it was carcinogenic. She then went on to ask why a vitamin maker would use a whitening agent only to then turn around and dye the supplement another color. The absurdity behind this process was so conspicuous; I admittedly felt a little dumbfounded. I honestly had no answer for her other than the possibility of market research leading manufacturers to believe we consumers prefer pretty colored pills to naturally hued, and whitening a substance’s natural color probably allowed another color to take better. We both had to tilt our heads and roll our eyes as the words tumbled out and over themselves, but in that moment I decided to look into the meat of the issue and find out the deal with TD. From the research I’ve read so far, much of the studies done on the carcinogenicity of titanium dioxide have been performed on rats, not unusual, and with powdered TD. Many of these studies did find that prolonged and excessive – six hours per day, five days per week, for two years- exposure of lab rats to TD dust did result in lung tumor development. And some of these studies did acknowledge the marked difference between the ways the body of a rat processes powders and dust particles in comparison to those of larger mammals like primates and humans. There are also studies, dating as far back as the 1960’s and conducted on larger mammals and humans, that tested the amounts of titanium dioxide present in the body after ingesting the substance through the diet over extended periods of time. These studies stated that no detectable amounts of TD were found in the urine, blood, kidneys or liver, giving way to the determination that dietary consumption of titanium dioxide did not lead to its absorption and thus accumulation within the human body. So, surprise surprise, it’s a mixed bag. Findings like these enable the FDA to deem it safe for use and consumption. And boy oh boy is it used. If you’ve become the diligent ingredient label reader I’ve encouraged, then you know what I’m talking about. TD can be found in everything from our multi colored multi vitamins to our body lotions and cosmetics. And because it occurs naturally in several minerals, it is widely used in mineral based make-up, especially the powdered foundations, bronzers, eye shadows and blushes. So are there any benefits? Probably the more pointed question is whether the substance serves any function, has any use? 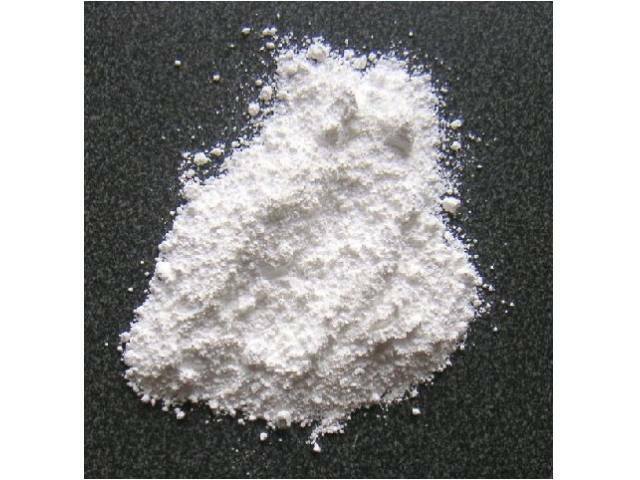 Titanium dioxide results from oxygenation of the widely present element titanium. Its strength and resistance to breakdown, along with its pigmentation make it a successful thickening and whitening agent for a variety of products like paints, inks, pills, toothpastes, cosmetics, foods and beverages. In addition, it is an able ultra violet light absorber and thus popular component of sunscreens and blocks. But is it truly, ultimately safe; and if so, then why the fuss? Well it turns out that the nano-sized, ultra small particle form of TD is of concern to researchers. And many of them view the synthesized state as the real threat because this form is more susceptible to collisions/reactions with other particles and can potentially infiltrate otherwise protected areas of the body. It is these traits that make for an unpredictable agent with unforeseeable consequences, and thus no definitive answer to the question of long term safety. Given the particular concern being powdered titanium dioxide and its impact on our lungs, the greater danger may be in our exposure to the inhalable forms and not the ingestible. Only time will tell for sure, but it is certainly our prerogative to play it safe. These manufacturers may provide some effective alternatives to their TD containing counterparts. As for ingestible products containing titanium dioxide, opting for clear veggie gel capped supplements or color free pills and tablets is a relatively easy adjustment. New Chapter, NOW and Source Naturals all offer TD free vitamin and mineral options in their supplement lines. Finding a medication that is free of titanium dioxide is probably more challenging; but when faced with the need for immediate care, healing in the now naturally takes priority over questions of future challenges. For those needing to take medications over an extended period of time, there should be no hesitation in asking about any additional ingredients or additives that cause concern. Let us remember that these are our bodies, nourished by our minds and without peace of that mind, health cannot truly be obtained. My joy during the holiday season most definitely comes from the infectious loving spirit floating round. Nothing beats those vibrations, so warming and deeply elating. We are reminded of the blessings to be found in the simple things, and we seemingly find it easier to stay present and soak up every morsel and drop of the good times. I think most would agree that 2012 has been a doosey, and we could all use this moment. So let’s let the love poor in, freely open ourselves up to receive, and generously give it forward. Happy holidays and a sincere thank you for your continued reads, likes and comments. Celebrate, Be Loved and BeWell! Feeling Shot ByYour Energy Drink? In recent news, reports have emerged of deaths attributed to energy shots like 5 Hour Energy, and I recently read a report that drinking more than three energy drinks per day may increase the risk of stroke and other life threatening incidents. Though it is hard to fully quantify these claims without knowing the specifics of lifestyle, family history and pre-existing health issues, it is by no means hard to believe them possible having spent years reading and researching the ingredient labels of these performance enhancers. Add to that my own personal trial usage and the claims become completely plausible. But, distinguishing the true culprit from the sometimes lengthy list of suspects is another task all together. Caffeine and B-vitamins, energizer staples, are in and of themselves hardly hazardous in moderation. Even at their upper limits, the side effects are more easily managed and the possible damage more capable of being repaired and reversed. However when the formulators fall victim to temptation and start tossing in layers upon layers of herbs, amino acids and other ancillary nutrients, watch back! The resulting potions can be potent and seductive when we discover what we can do faster, better and longer with their assistance. I know you recall my declaration of brain buzz indulgence, and I know I am not alone. Life is demanding and the more focused and energized we are, the more confident and capable we feel. So, what’s the harm in drinking a shot or two of these enhancers, right? It’s not like they’re drugs, right? And therein lays the real question being asked by scientists and researchers. Their specific target of focus is the amino acid taurine. Taurine is a free form amino acid naturally and easily obtained from foods like fish, meat, dairy milk, eggs and even seaweed. With the help of vitamin B6, taurine is also manufactured by the body from other amino acids cysteine and methionine. A safe daily dose of taurine is between 100 and 500 mgs per day and offers health benefits to the brain, eyes and central nervous system. Unfortunately, the amounts found in your typical energy drink can be twice this amount. Possibly even more concerning is that these drinks usually contain synthetic taurine and that combined with the large dosages can have effects on the brain and body similar to those of illicit drugs, causing an unnatural and extreme stimulation of the central nervous system followed by a hard melancholic crash in energy. Increased blood pressure, disturbances in sleep cycles, moodiness and irritability, seizures, heart palpitations, and manic episodes are some of the reported and observed side effects of excessive taurine intake. The list only grows longer and more dangerous when use of this ingredient is combined with anabolic steroids or alcohol, as in the Red Bull & Vodka cocktail. Consequently, Switzerland and other countries are leading the way and banning taurine containing energy drinks. Although the US FDA doesn’t appear to be firmly decided, it is publicizing consumer reports of adverse reactions to the substance and my advice is to take heed. This does not necessarily mean stopping supplemental use all together, but perhaps pulling back. Start reading the ingredient labels of the sports and energy drinks, checking for the amounts of taurine and caffeine as well as the number of servings in the bottle or can. Beware of the words “proprietary blend” and note that the ingredients listed first on that list are the most abundant ones. Decrease daily intakes by half, reduce days of use to two per week, and take full breaks from use every four to six weeks. Increase dietary intake of natural taurine according to your lifestyle and eating habits. Increase the body’s production of taurine by making sure that vitamin B6 is also present in the diet. First and foremost, Happy Autumn to all and thank you so much for your support, your reads and your comments. 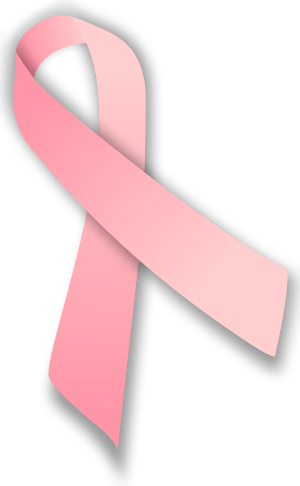 It has been an amazing experience writing and publishing this blog and I’m thrilled to step into the second year of BeWellWarrior. I aim to keep you armed with the latest on new supplements and wellness trends. And I welcome any questions or concerns you may want me to explore. For now, take a load off and have a look at this recent change to the beloved Methyl Hex 4, 2. Several posts ago I wrote about the then new thermogenic Methyl Hex 4, 2. This fat burner claimed to increase our metabolic rates, enhance our focus and boost our mood all in a 1-2 pill per day dose. The ingredient most credited with these capabilities was Methylhexaneamine, a supposedly pharmaceutical grade of Geranium seed extract. I speak in past tense because SEI Pharmaceuticals has recently gone the route of other supplement makers and removed this potent ingredient from the formulation. As previously posted, Geranium seed extract was revered for its nor epinephrine like behavior (elevation of heart rate, release of glucose, increased blood flow to muscles). 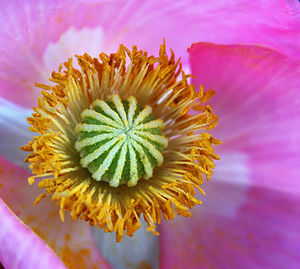 The resulting energy earned the herb a reputation second only to the once renowned Ephedra. But, of course, in this age of increasing demands and seemingly ever decreasing time, folks, feeling pressured to keep up, once again went overboard. When I say, “Folks…” I’m not just referring to the consumers but also to the product producers. They are pressured to create a competitive formula that is worthy of those all too familiar tags-most powerful, strongest, fastest working, longest lasting. Additionally, supplement takers have long been pushing back from the multiple pill doses and leaning towards the ultra concentrated 1-2 pill per day trend. It seems only logical manufacturers would need to push the upper limits of otherwise safe ingredients to achieve this potency and keep their customers. The result is performance enhancing supplements so stimulating to the system that the body and brain begin to crave and inevitably depend on them to gain advantage, increase activity and ultimately productivity. Once that occurs, so does the supplement abuse and system imbalance, which in time may lead to serious injury and illness. This is usually when sports and other governing agencies start prohibiting the use of an ingredient and effectively pull the rug from beneath it, the apparent fate of this controversial ingredient. 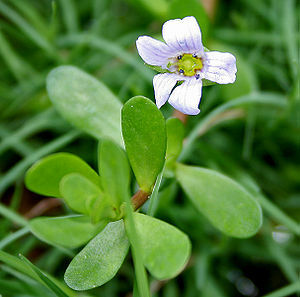 Now Methyl Hex 4,2 relies upon Bacopa Monnieri (famed for its memory boosting capacity), D-Aspartic Acid (known to increase insulin release and fat burning) and Pilocarpus Pennatifolius/Jaborandi (used to increase the body’s heart rate, perspiration and urination) to elicit its energizing and metabolism enhancing effects. I recently sampled the new formula and definitely noticed the difference. 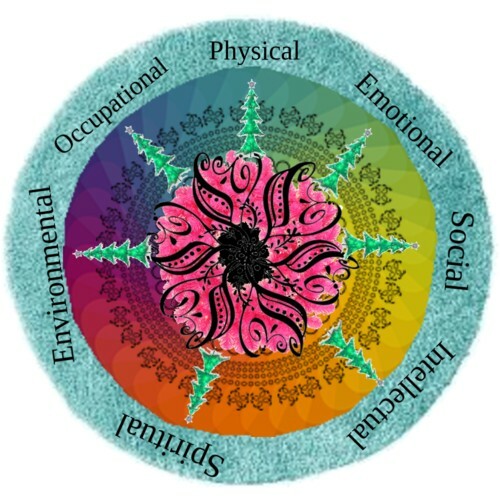 The previous version produced a unique kind of brain buzz and uplifted mood with sustained concentration and energy. It was also very effective at suppressing my appetite. The new formulation did not leave me feeling as focused or energized and there wasn’t any noticeable impact on my mood or appetite. Mind you, I previously tried Methyl Hex for 7 days either with or immediately following a caffeinated beverage; and I only tried the new formulation once, hours after having a cup of coffee. The timing of the coffee is important because its inherent ability to perk up the brain and quickly increase energy definitely acts as a booster shot to any fat burner. None the less, I suspect the real difference is the absence of the Methylhexaneamine. **Please check out the below links if you have used any of the above supplements and experienced adverse reactions. Recently I was asked to clarify which herbs could not be safely combined with other supplements. I thought, “sure, no problem,” knowing that there are literally hundreds of thousands of different herbs with countless compounds, properties and actions warranting another encyclopedia set’s worth of break down. And then it occurred to me that it would be of more benefit to just list some resources that I’ve relied upon to help me sift through the herbal options and determine the appropriate combinations to supplement. 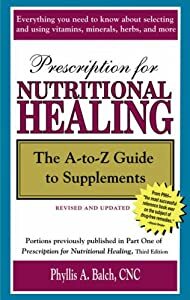 My most frequent go to are the books A Prescription for Nutritional Healing by Phyllis A. Balch and Staying Healthy with Nutrition, published by Celestial Arts Publishing. The first provides both quick reference lists of select herbs and more detailed supplement recommendations for various conditions. Staying Healthy…is an A-Z guide of all vitamins and minerals plus a breakdown of different diets with suggested appropriate recipes. For a list of medications and their corresponding restrictions the Physicians’ Desk Reference is a must have, but make sure you are referring to the most updated edition as the pharmaceutical world is an ever-changing one. Below is a brief list of common herbs, courtesy of A Prescription for Nutritional Healing, along with some corresponding condition, supplement, and medication combinations to avoid. Though the above should certainly not be used as a means of self medicating, it can make designing an appropriate and supportive nutritional supplement program a bit easier. Let your physician and health care professionals do the heavy lifting but take some time to do a little extra fact checking on your own. Well it’s officially here folks! And based on the east coast’s starting scorchers, this summer just may be the record breaker. After months of illness and injury, I’m personally determined to make it just that in the way of joyful and memorable moments. Tis the season! So, I plan on soaking up as many outdoor festivities, beach days and water park adventures as I can, perhaps even a far away excursion. Now if the latter is what you’ve really set your eye on, the following three items can provide insurance in the areas that count the most, providing protection from inside out and making your travel experience unforgettable in all the right ways. One of the biggest challenges in traveling far is avoiding the jet lag set back. Our bodies are literally rhythm reliant and, for some, changes in time zone can be very disruptive to the waking and sleeping cycles. The body has a hard time adjusting to the time difference and finds itself wanting to sleep when it should be awake and unable to sleep at its new bedtime. Much of our ability to sleep and thus the quality of our sleep is determined by the body’s production and release of the hormone Melatonin. A.K.A the “nighttime hormone”, Melatonin’s release is triggered by darkness and regulated by how much or little daylight we’re exposed to. Supplementing with 1-3 mg of Melatonin before and during your trip may help you get past the dreaded lag. Be aware though that timing and dosage are critical when using Melatonin to counteract the sleeplessness of jet lag. Those traveling east into time zones with earlier bed times will likely have more success than those traveling further west where they’ll find themselves needing to retire later. West bounders might find Melatonin most helpful if and when they wake during their night’s sleep. And east bound travelers may find that taking Melatonin and going to bed earlier in the few days before their trip will help them adjust to the earlier bedtime of their destination. Melatonin can be taken in pill, sublingual, quick dissolving and liquid forms. The latter will go to work more quickly and all should be used only as directed by the product’s instructions. This usually includes taking the supplement 30-60 minutes before the desired bedtime and not combining it with alcohol and/ or other sleep aids. If you’re anything like me and my friends, you’re all about indulging in good food and drinks when you travel and really diving in to the local cuisine. And if you are truly a foodie, you know that daring spirit isn’t without its obstacles, namely the gastro upset while adjusting to the food and water born bacteria native to your destination. The milder versions can amount to no more than a brief bout of travelers’ diarrhea, while the more extreme of these can come in the form of dysentery and even more troublesome, salmonella and/or staphylococcus exposure. Symptoms of these infections can range from nausea and abdominal pain to fever, diarrhea and dehydration. But maintaining a healthy level of competing beneficial intestinal bacteria can increase your defenses against these illnesses. Increased defenses in turn aid the immune system and boost our resistance to all sorts of environmental irritants. Multi strain probiotic supplements come in many forms including yogurts, enriched baked goods and beverages and more travel friendly options like capsules, chews and powders. A daily diet that includes a probiotic count of 5 to 25 billion culture forming units (CFUs) will help prepare the body for far away travel and exotic cuisine, but once you’ve arrived observation and sound judgment may offer the best protection. Salmonella is most commonly found in egg, chicken, beef and pork products. Local yogurts may help your system adjust to the types of bacteria native to your destination, but if you find yourself uncomfortable with the ways food and beverages are prepared then, simply say ,”no thank you”. Better safe than sick and sorry. One of my new favorite things is the super anti-oxidant and anti-inflammatory supplement Astaxanthin. Asta zwhat? Yep Astaxanthin, the carotenoid responsible for the pink pigmentation of salmon and lobster, is on the rise in the preventive nutrition world. Not only is it cardio protective through its ability to relax the heart vessels and thus promote overall circulation and blood flow, it is also gaining a positive reputation for benefitting blood pressure, diabetes and even dementia. But none of these assets are qualifying qualities for our vaca- bring- along list. That, my dears, would be its inside and out sun-blocking super powers. The above benefits were experienced after three weeks of supplementing 4mg of Astaxanthin each day. For more serious health benefits some wellness professionals recommend supplementing 8-12 mg/ day of Astaxanthin for 4-6 weeks and then shifting to 4mg daily for the long term. My suggestion for travel to sunny and tropical climates is 8-12 mg/day for the three weeks leading up to the trip and then 4-8mg daily while traveling. After returning, maintaining with 4mg/day should be sufficient.